Our jumbo, hard-to-miss version of the classic. 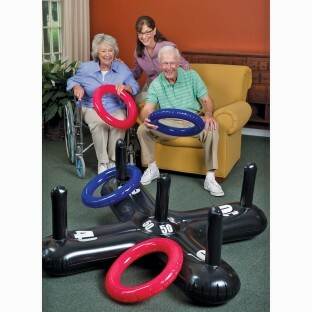 Inflatable Ring Toss Game with oversized PVC pieces. Now success is even easier to achieve! Everyone's a ringer when playing our jumbo, inflatable, hard-to-miss version of the classic Ring Toss Game! The durable, oversized PVC pieces make success even easier to achieve. 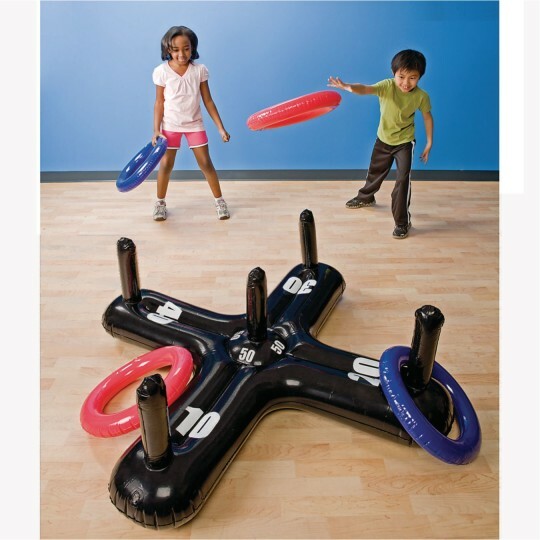 Includes one 60" crossbar base and four 18"-diameter rings (2 red and 2 blue). My residents love this game. I definately reccommend it! My residents love this game. The residents at the nursing home where I work absolutely love this!